We will work with you to understand you requirements and design and build a web solution that meets you needs. You will be guided through the process of choosing a design, creating content and customising your site. Training is available so that you or others in your business can take over the running of the website. You have full ownership of your website and content, meaning that there are no ongoing monthly fees to pay and no risk that you will lose access to your site or it’s content. Ready to discuss your ideas for a website? E-commerce options that allow you to sell directly to your customers through your website. Sell physical products, services and digital downloads. Accept credit card payments from customers online. 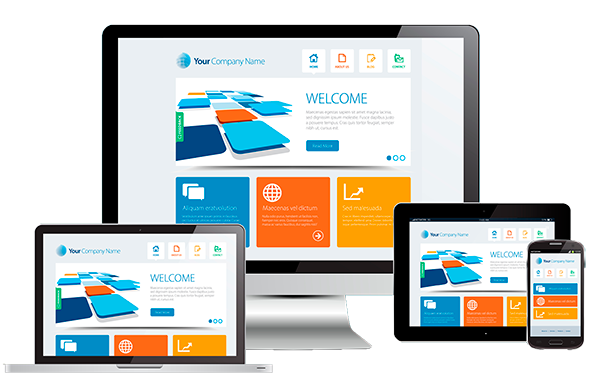 Using responsive website designs, your web page will look great on all devices, including mobile devices such as phones and tablets. You get full control over your website and can be as hands on or off as you like. Create your own content and customise the look of your website to your hearts content. You get ongoing support as and when you need it to maintain and develop your website. Piece of mind that someone is there to help you when required without any monthly subscriptions.